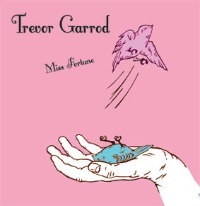 Melancholy and memory shuffle with weary smiles on Miss Fortune, the solo debut of Tea Leaf Green keyboardist-lead singer Trevor Garrod, who’s made a song cycle for Eleanor Rigby and her downhearted kin, a lovely, openly aching journey that firms up Garrod’s place as a contemporary answer to Randy Newman and a peer to modern troubadours like Rufus Wainwright and Josh Rouse. “It’s a record for break ups and bad days. For cold foggy summers stuck in the top story of a light house. It’s a warning to heedless ships on the wanton sea. It’s a journey to safe harbours and salvation,” says Garrod, and he’s not wrong in the slightest. Gray skies hover as emotional storms thunder and shower, but what’s impressive is how Garrod keeps things from being a grim pity party. He’s just facing down the darkness and sadness we all face from time to time, looking it straight in the eyes and communicating what he sees with unflinching honesty and more than a little abject beauty. Unlike Wainwright, he isn’t overwrought or ornate in his presentation, carving out his portraits with spare arrangements that still feel full and let individual instruments sway with his voice, which takes the spotlight on Miss Fortune. Garrod’s pipes bring to mind a whole host of classic pop crooners – Badfinger’s Pete Ham, Squeeze’s Glenn Tilbrook, the bruised, quiet side of John Lennon – but maintain an individual character and wide open emotional timbre that’s moving and softly elegant, particularly on these tunes. Miss Fortune is a pretty far cry from his work in Tea Leaf Green, where he shows a more playful, boogie ready character, thus making this solo set a perfect adjunct to his established catalog, a thing apart that reveals further depths in a young artist who continues to steadily grow with each passing year. The level of craftsmanship and care on Miss Fortune creates a resonant experience, a flickering, faltering glow to warm ourselves by on days when it seems we’ve spent too much time in bad company and the end is closer than the beginning. Miss Fortune helps us process these inky, difficult feelings and come out the other side strangely brighter. Yeah! I have known Trevor since he was a baby, growing up on Mt. Eden Road. He is a TRUE musical spirit! His great mother & father and family DID inspire him in SO many ways. Great success to him!